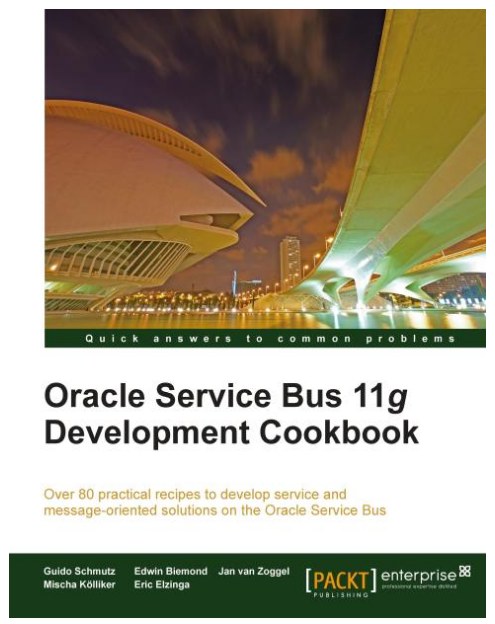 Our book “Oracle Service Bus 11g Development Cookbook” has been added by Oracle to the “Learn More About Oracle Service Bus” section on OTN. You can find it over here together with other usefull resources. On the 7th and 8th of februari i attended the Oracle Fusion Middleware Partner Community Forum in Malaga. A 4 day during event with other Oracle colleagues from other companies and from Oracle itself. After taking a early flight from Schiphol Amsterdam, we arrived on time in Malaga. Great weather, compared to the -12 degrees in The Netherlands. The day ended with the so called ‘Socal Network Event’. As usual Jurgen planned a great evening again for all of us. 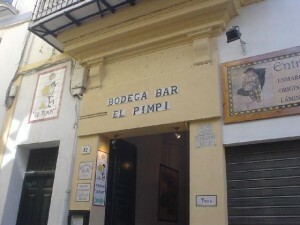 Starting in El Pimpi restaurant with some drinks, delicious snacks and live music! 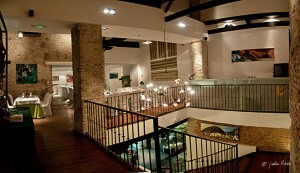 .. and to end up in Aleas Restaurant for a great dinner. Ideal moment to find out more about the new ps5/12c features and to finally get in contact with some friends of twitter. The second day would be the more interested day with presentation about the new upcoming releases. Ideal to get in touch with the right persons and try to find out what’s coming up for us. For the overall agenda see here. 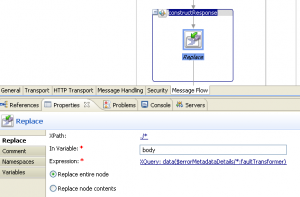 New transactions properties (required/requiresNew) for sync and oneway bpel processes (initiating calls). 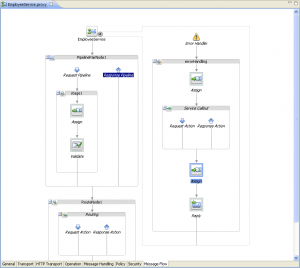 Able to set those on creation of the process instead of in the xml after creating. Overall a great event again. Thanks go out to Jürgen Kress and Hans Blaas for organizing it! Good news today from the publisher! The book of which i’m coauthor of has been published! After months of hard work it’s finally there. I hope you will all like it. Thanks to the other authors (Guido, Edwin, Jan and Mischa) for all their hard work and for the great few months of working together to establish this great piece of work. Special thanks go out to Guido for guiding the whole process of making this book. All the hours of hard work and organizing everything, i hope it was worth it! The book contains more than 80 practical recipes to develop service- and message-oriented solutions on the Oracle Service Bus 11g. 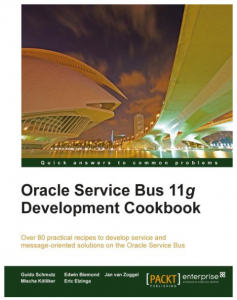 AMIS blog : Review of Oracle Service Bus 11g Development Cookbook (Packt Publishing) by Edwin Biemond, Guido Schmutz, Eric Elzinga et. al. 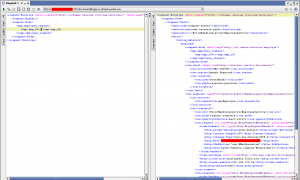 One of the readers of my blog post ‘Oracle Service Bus 11g, Using Custom Xpath Functions asked we can reuse the custom xpath functions in a xsl transformation. It’s possibel to reuse the jar and calll the custom functions from within a xsl transformation. Restart the osb service so the new jar will get loaded. 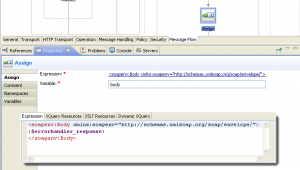 Create a new proxy service and use the xsl in for example an assing activity. Deploy the service and use the testconsole to test it. 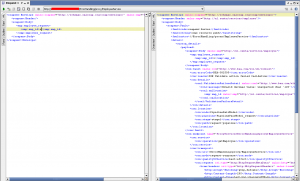 In one of my xsl transformations i needed to import a generic xsl from the mds store. 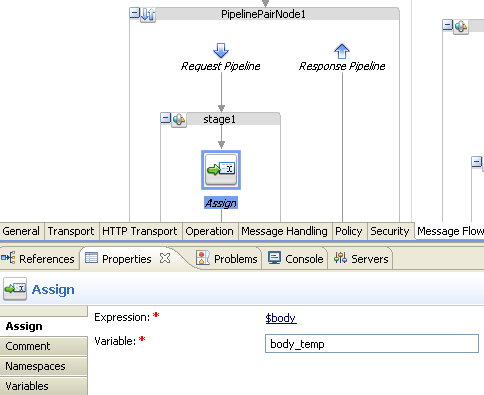 For this i created a new jdeveloper application with a soa sar deployment descriptor and jar descriptor in it. When i browse the mds repository i see the SharedMDSResources folder in the root of the tree (instead of in the apps folder). For testing i deployed the jar manually in the EM. An error occurs while processing the XPath expression; the expression is ora:doXSLTransformForDoc(‘xsl/format_dates.xsl’, $csvXml). The XPath expression failed to execute; the reason was: XML-22000: (Fatal Error) Error while parsing XSL file (oramds:/deployed-composites/default/mycomposite_rev1.0/xsl/my_process.xsl: XML-22002: (Fatal Error) Error while processing include XSL file (oramds:/SharedMDSResources/generic.xsl).).. 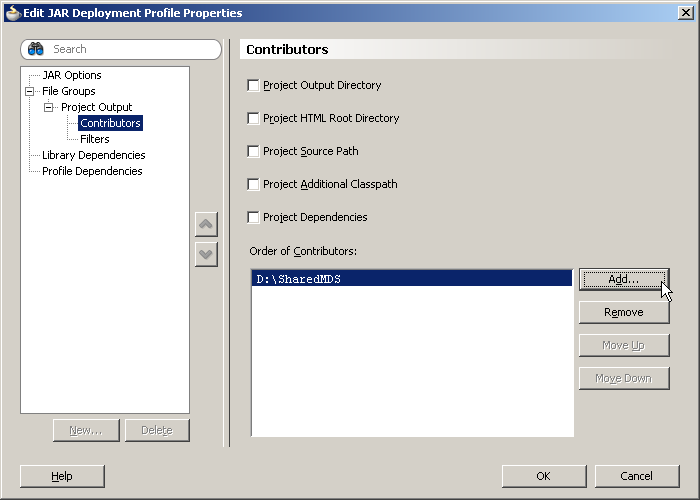 Since i deployed the jar manually from within the EM the SharedMDSResources folder will not be created in the apps-dir but in the root of the tree. 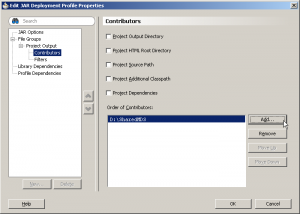 The oramds imports can only import from within the apps folder structure. Or keep the jar as it was (folder/file structure = SharedMDSResources/generic.xsl) and use the scripts from for example Edwin and setup the ‘mds.reposistory’ correctly (ending with the apps-directory in it). 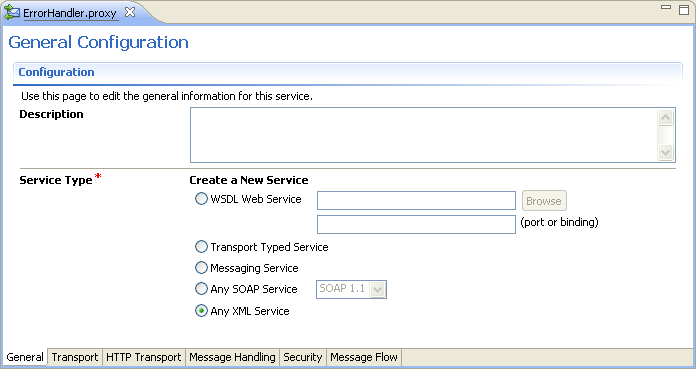 In the osb we use business services (http transport + wsdl) to call our composites on the soa suite. 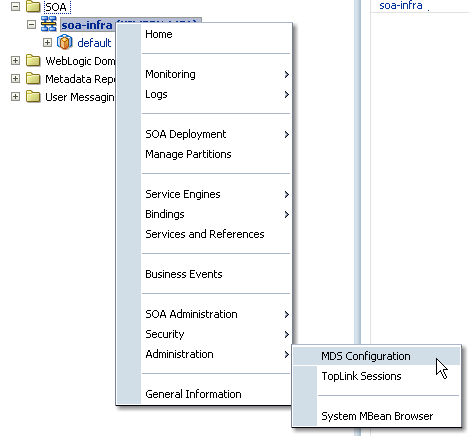 Looking in the list of instances in the soa suite we see the instances over there just complete in a valid way but still the routing in the osb fails. 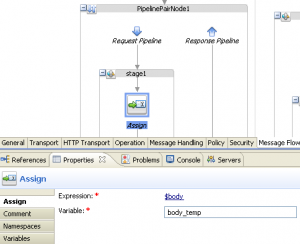 One place which will contain all the error handling logic and which could be easily extended both in implementation of the logic for handling errors and being able to easily add new errors to be handle which the metadata for this error. In case third party applications decide to trigger new type of exceptions/faults i don’t want to change the fault handling logic of all the process which do a call to this service. I want to be able to add the to be executed logic for this new specific error to some sort of error repository together with some setup-settings. In our case the error repository is nothing more then a xml metadata storage which stores settings for the errors to be handled. 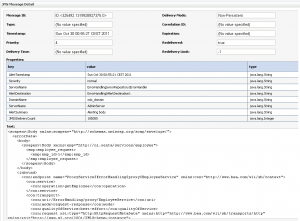 The definition of the metadata can be extended with other settings which can be retrieved at one central place again and logic for handling the settings will also be centrally defined. 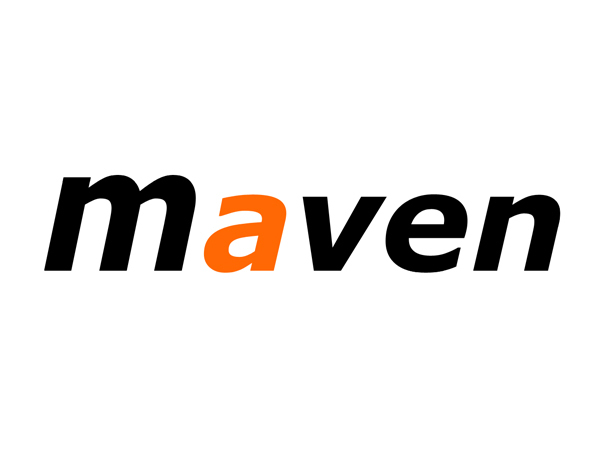 In our case the error handling service will be the central point in which we retrieve instance data from the process in which the occured fault. Based on this data we will retrieve metadata for the fault and decide in the message flow handling what the logic will be to execute. 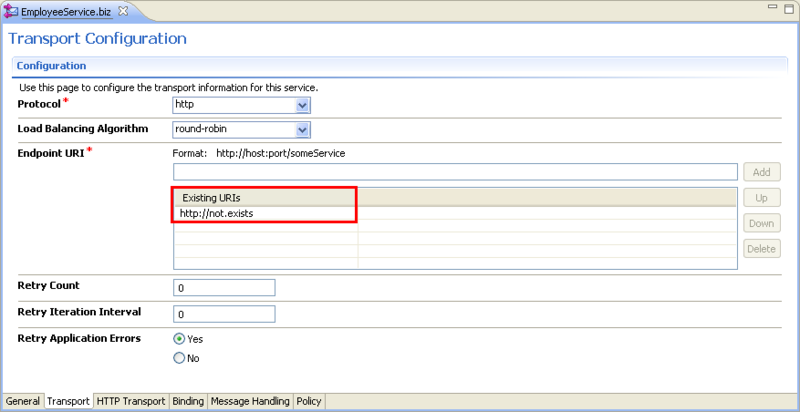 The error handling proxy service will be the central point of executing location based on the incoming occured fault. The first step will contain 2 assigns. 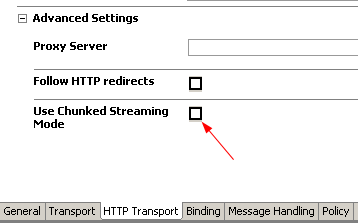 At this point we have the list of faults together with metadata about what to execute when they occure available in the Message Flow. In the second assign we retrieve only the the metadata from our occured fault, so we just retrieve 1 error-element from the list. 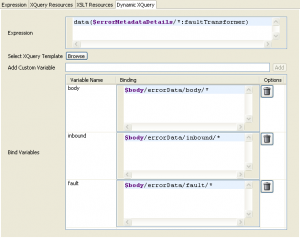 For this we execute the lookupError xquery which receives the errorList content and the errorCode and will return the error-element. If we can’t retrieve any metadata based on the errorCode we will return a default set of metadata (the error-element of which the code = DEFAULT). 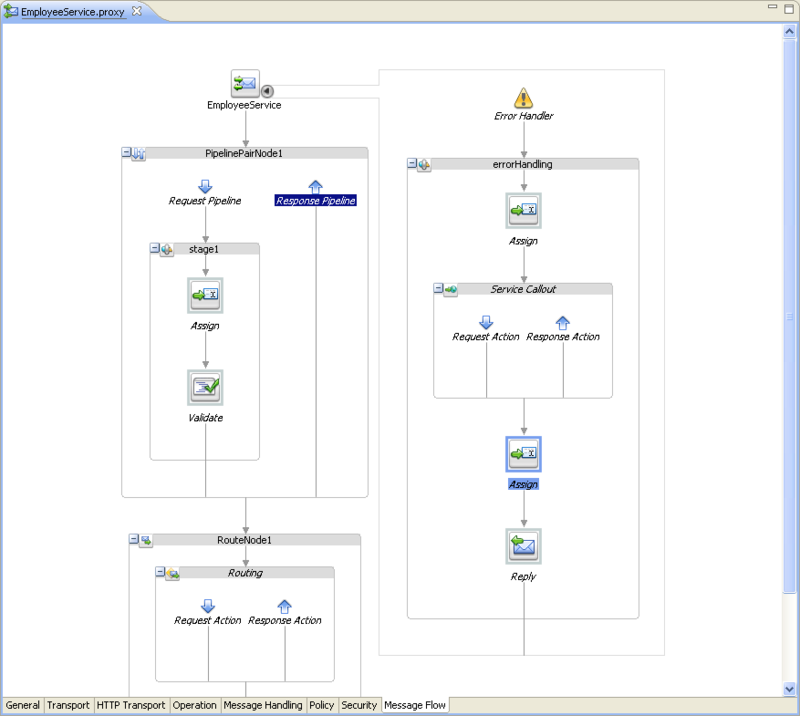 The result we will assign to the errorMetadataDetails variable. In all the conditional stages we will now re-use the errorMetadataDetails variable to verify if we want to execute certain login. 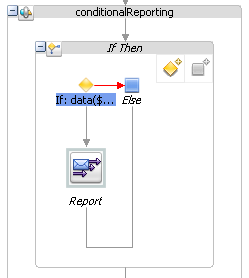 If we configurated the indReporting=Y in the error repository xquery file then the if-then loginc will evaluate to the if-tree and the Report-activty will be executed. In the same way all the other condition stages (conditionalAlert, conditionalSomethingElse) will work. We re-use the errorMetadataDetails-variable and just do a simple if-then check to see if certain logic needs to be executed. 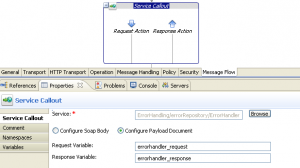 The last step of the message flow is the step in which we construct the response of the errorHandler process back to the client process. 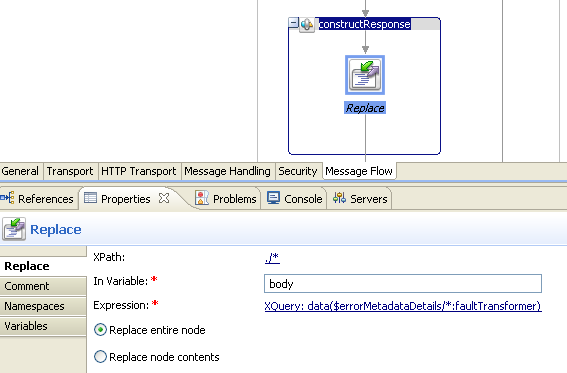 In this step we will be using Dynamic Xquery to be able the construct response messages based on the incoming fault. The example of our ErrorReposity defines 2 faults and 1 default. In case for example error BEA-380000 occures, we will use the xquery located at ErrorHandling/errorRepository/GenericFault_To_SOAPFault2 to be executed. 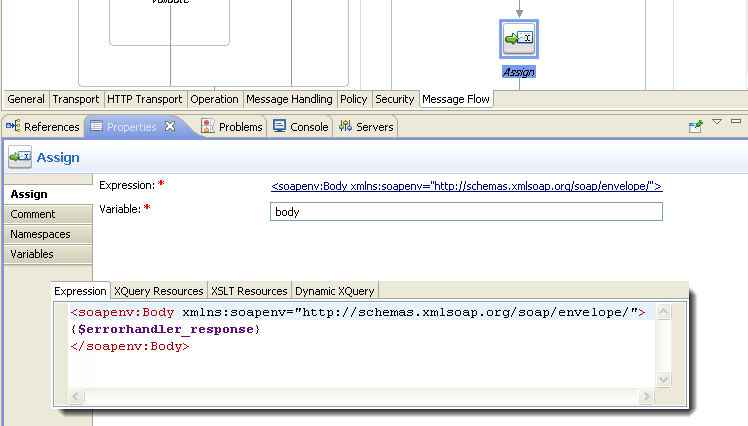 This xquery will construct our soap fault. 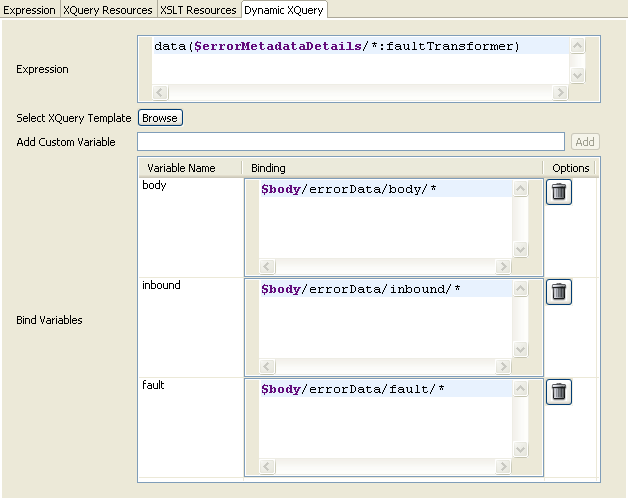 To be able to use Dynamic Xquery all the to be used xquery transformations need to have the same interface. Depending on the backend system and the returning faults from it we will use different tranformation files. different fault response we do need to define a faultTransformer-value in the errorRepository. And that’s all what is needed to implement in the errorHandler process to receive the metadata, handle the fault and construct the response. 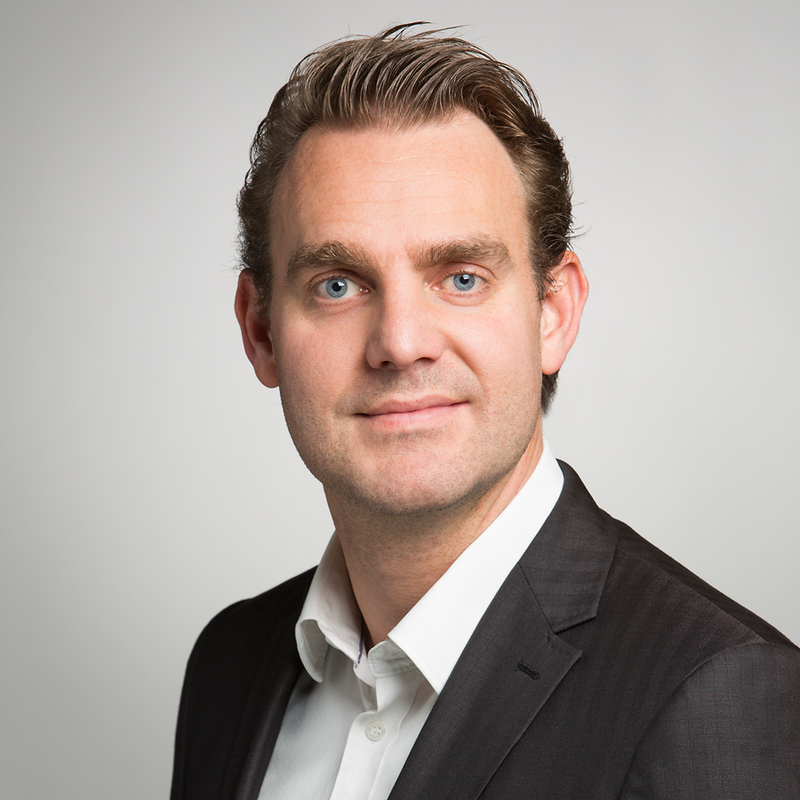 For this testcase we created a simple EmployeeService. 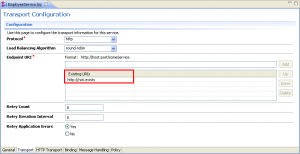 Create a new proxy service based on the next wsdl/xsd content. The second activity is the validation activity. This one we will be using lateron to trigger a fault which will be processed by the errorHandler process. 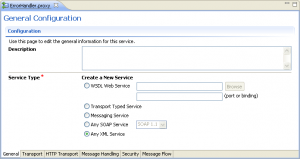 Based on the same wsdl as the proxy service i defined a new business service. 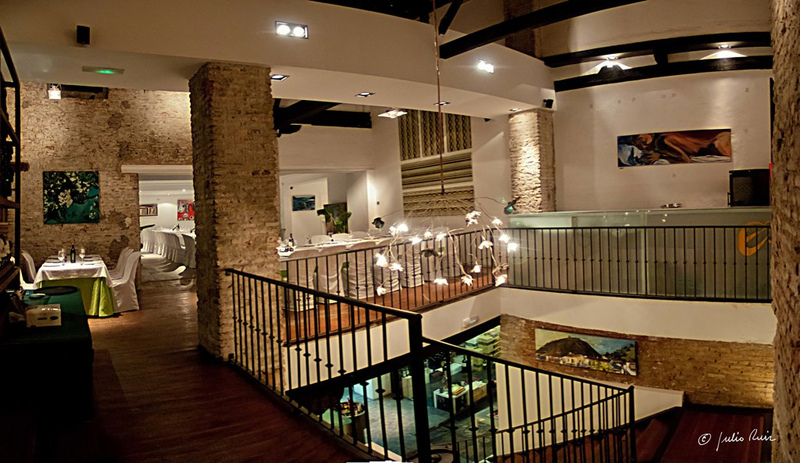 In the EmployeeService proxy we will be routing to this business service. Since we won’t be implementing any logic on this side we just update the endpoint of the business service to something useless so the route will fail on this one. This part is used to the second fault triggering moment in our process. Also this situation will fail and the occured fault will get processed by the errorHandler. The ‘normal’ message flow of our proxy service is now done. 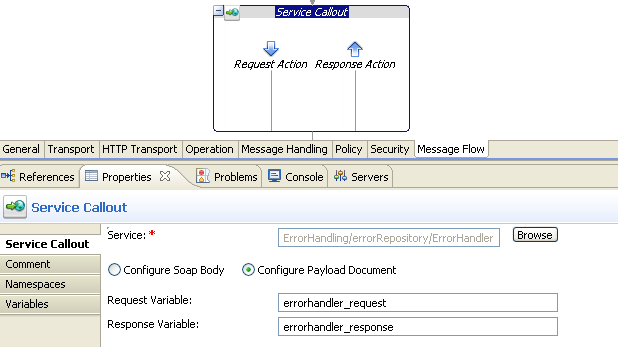 Let’s have a look at the service error handler. In the binding we will use the body_temp variable so we have the original body content of the process. In the ErrorRepository we defined 2 faults, BEA-382505 and BEA-380000. For both faults we defined a different faultTransformer. 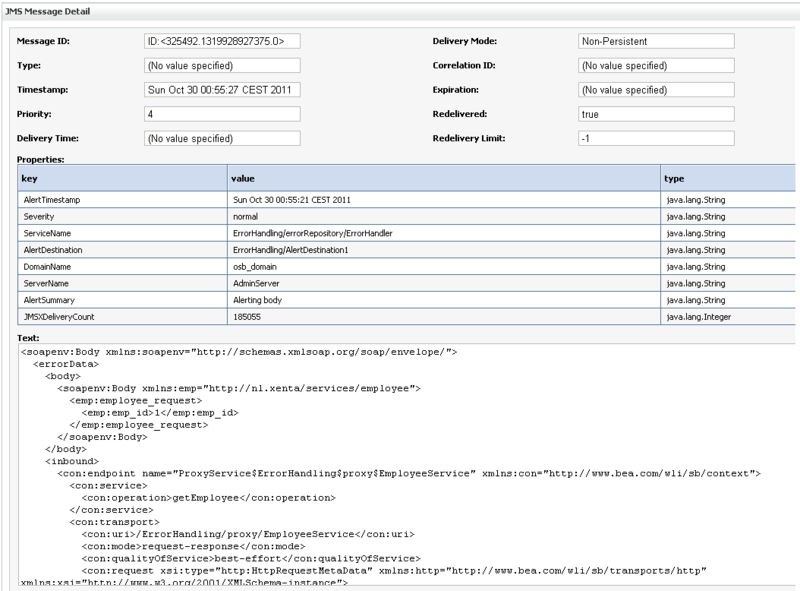 Now test the process either by using the testconsole of some testclient. The first testcase will have a valid input message. 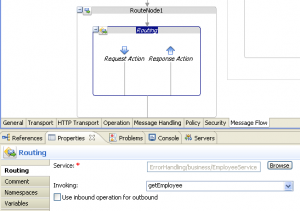 So the process will pass the Validation activity and will fail when routing to the business service. The generated soap fault is correct. It contains the custom_details2-element, which is generated by the GenericFault_To_SOAPFault2 transformer. Next check the sbconsole to see if there is also a report triggered for this error (indReporting=Y). 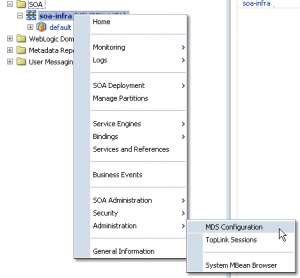 Next check the weblogic console to see if the alert got executed (indAlert=Y). For this one i created an alert with JMS Destionation. For the second testcase we will use an invalid input message. The validation will throw an error (BEA-382505). 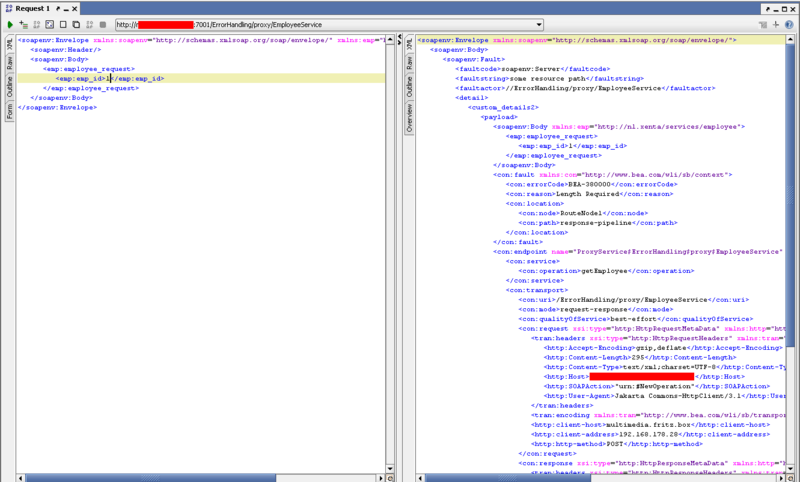 Check the generated soap fault (custom_details-element should get generated now). And verify the alert and report too, to see if they got handled correctly. In our xsd definition of the errorRepository we only defined a few settings just to show how it could work. 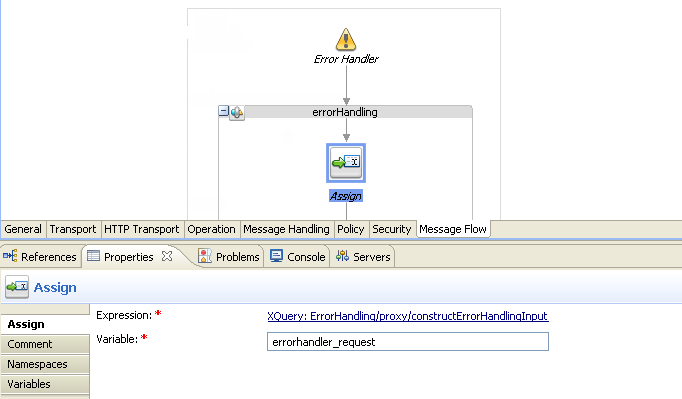 one place, the errorHandler proxy service itself, it’s little work to extend the current logic for handlin the errors with new functionality. Just a new if-then activities for new settings and you’re ready to go. The functionality as defined in the blog for handling the errors and creating a single point of error processing was enough for my testcase. I needed all the logic on one place and not in every process. I needed a single place in which i could define all the errors i wanted to handle and what actions to execute when such an error occurs. Besides that i needed a way in which other persons could easily add new defined errors to the file and the process would just ‘handle’ them without adding extra logic to processes. In case you don’t want someone else to manipulate the errorRepository file directly from within the sbconsole itself we could also just read the content of this file from some other external location by use of the doc() function, see this blog. 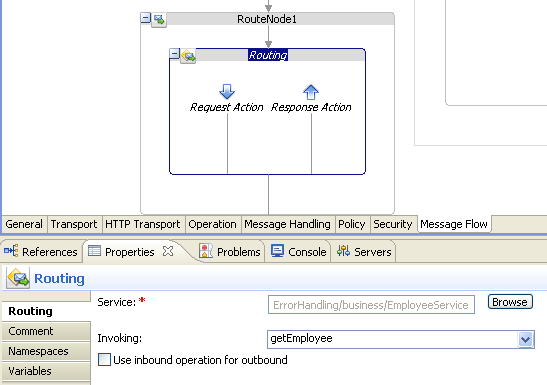 I hope the solution described will help you a bit on implementation error handling in the Oracle Service Bus. 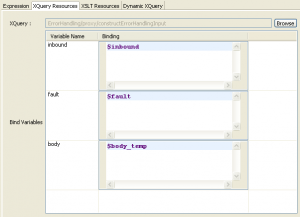 To be able to make use of Dynamic Xquery the xqueries itself all need to have the same defined interface. 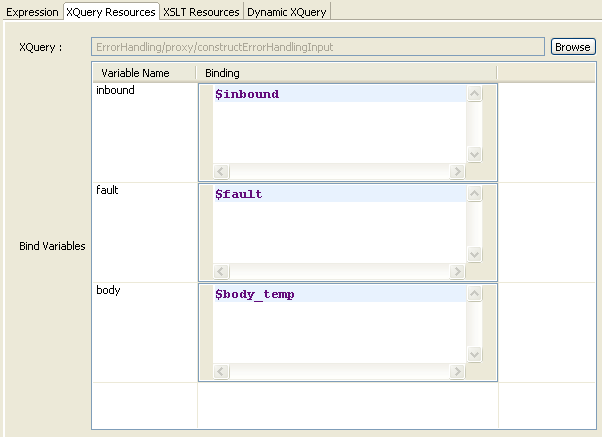 So after defining the different xqueries and test them one by one in Eclipse all seem to work. I was pretty sure after logging all the binded input variables they were all containing data. 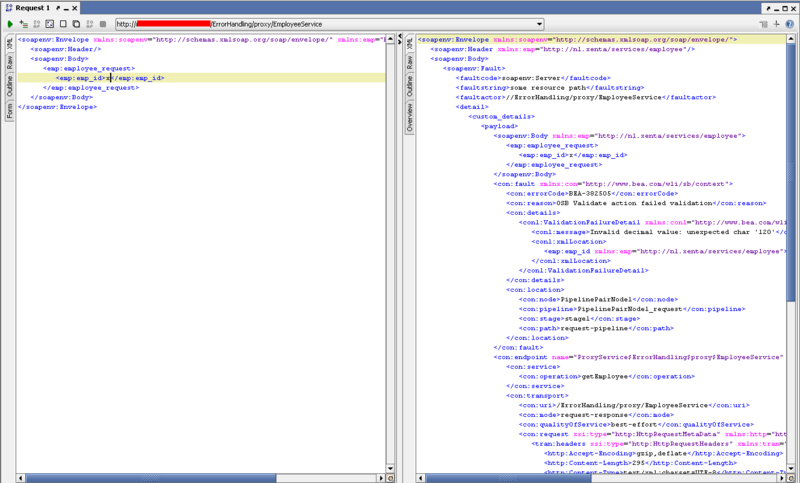 Lesson learned : Make sure you both bind all the variables but also ‘use’ them in the xquery itself. I’m not sure what this assign will do (performance-wise) when you assign a big dom-tree variable, in that case you could just assign the deepest childnode to the temp variable. Eventually it’s just a dirty fix to be able to use the xqueries in combination with dynamic xquery and still be able to not use all of the incoming parameters.